Each individual chalcedony stone is placed in a very gold plated brass metal framework, that conjointly forms the bottom of the bangles, that square measure obtainable in 3 sizes. The elegance of this pair of designer bangles is enhanced manifold by the clean pattern of black onyx that adorns their entire circumference. 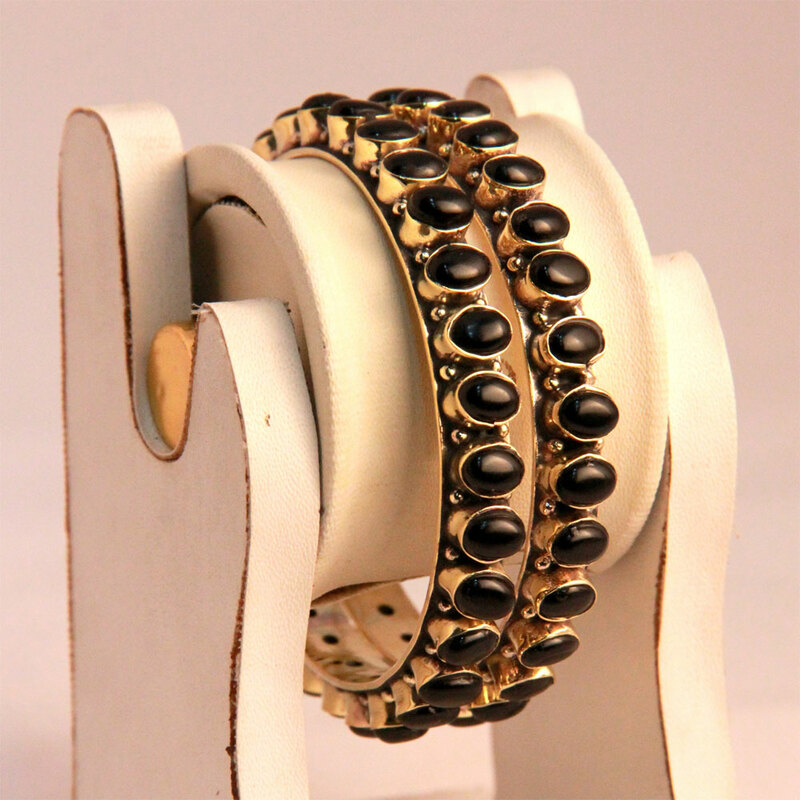 Each individual Read More..onyx stone is placed in a gold plated brass metal framework, which also forms the base of the bangles, which are available in three sizes. Show Less..